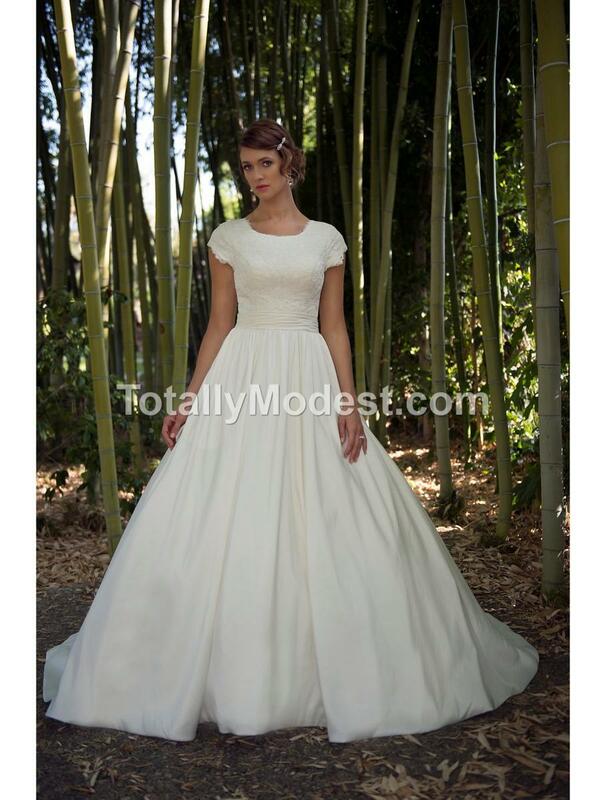 Modest Sweetheart neckline with lace bodice and cap petal sleeves. Wide rouched band at waist with full taffeta ball gown. Zipper back with buttons and court length train.